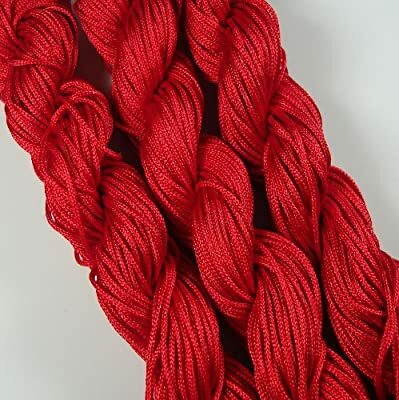 BeadsTreasure 28 Yards Red Braided Nylon Thread Chinese Knotting Cord Macrame Shambala 1mm. Product prices and availability are accurate as of 2019-04-12 03:45:10 UTC and are subject to change. Any price and availability information displayed on http://www.amazon.com/ at the time of purchase will apply to the purchase of this product. 28 Yards Red Braided Nylon Thread Chinese Knotting Cord Macrame Shambala 1mm-1 Bundle.